A new mens sneaker style from Djinns Easy Run Collection. 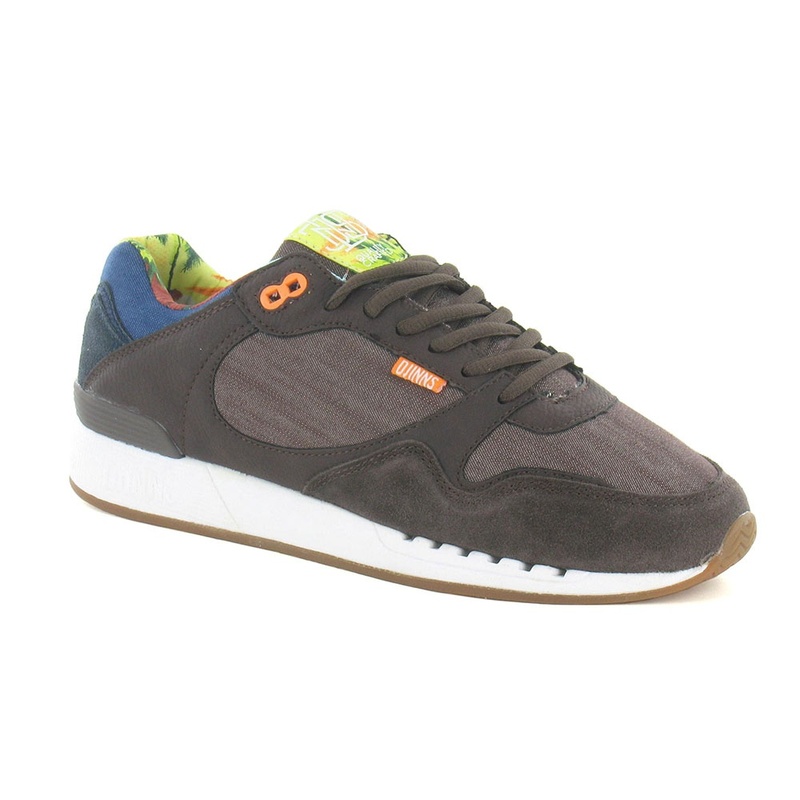 Featuring brown suede and textile uppers and hawaiian print lining, together with a soft padded heel and double stitched toe cap the mens Easy Run Aloha attracts the right kind of attention for its looks. Giving the mens Aloha that little extra is its Heel Stabilizer reinforced heel which provides extra comfort and stability. Just what you need for an active lifestyle. Fastened with flat brown laces securing the tongue in place via six blind eyelets there should be no tongue slip no matter how active you are. For a great shoe that fits your active lifestyle, get your pair of Djinns Easy Run Aloha now. You will not regret it.